George Armstrong Custer Never Made a "Last Stand"
Everyone has seen the paintings and the movies: a circle of about 100 soldiers of the U.S. Seventh Cavalry, using their dead horses as cover, kneeling and firing at the swarming Sioux and Cheyenne Indians who are riding around the perimeter. Custer, in buckskins, stands in the middle with the flag. It appeared that Custer’s men were engaged for about an hour, but that the actual final rush overwhelmed them in minutes. There was no giant circle on “Custer Hill.” In fact, a debate rages over whether the men of the Seventh Cavalry even formed a skirmish line for volley fire. Fox concluded that the Indians used the time to creep through the grass and close in to the cavalry positions, the rose up in an instant and overwhelmed them. He found numerous shell casings on the back sides of the ridges, indicating that the soldiers were running and firing, trying to escape. There is conflicting testimony from Indians as to whether or not Custer even got close to the village. One said he was in retreat from the opening minutes. Perhaps most surprising, Fox found a considerable amount of Winchester ammunition—and the Seventh was not issued Winchesters but Springfield carbines. In another revelation, Fox found that—again, contrary to the myth—the Springfields had not jammed. He could find no knife marks on the ammunition, which would have indicated a soldier had used his knife to extract the jammed cartridge. So it appears that at least some Indians “out-gunned” their white enemies. It is also something of a myth that Custer might have been saved had he taken a pair of Gatling guns that were offered. The nature of the Gatling guns was that their relatively short range (500 yards) and weight required them to operate as cannon and thus be pulled by a team of horses. 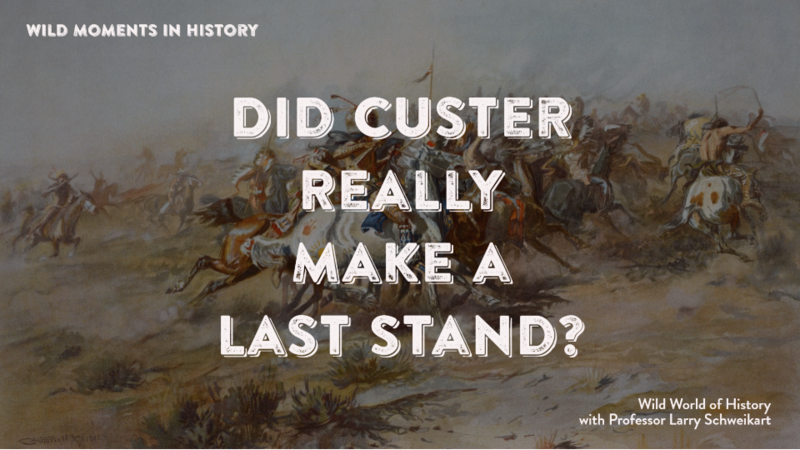 Custer thought they would have slowed him down, and it’s highly unlikely, given the way the battle unfolded, that crews could have set up the Gatling guns before being overwhelmed. For more, see Richard Fox, Archaeology, History and Custer’s Last Battle.